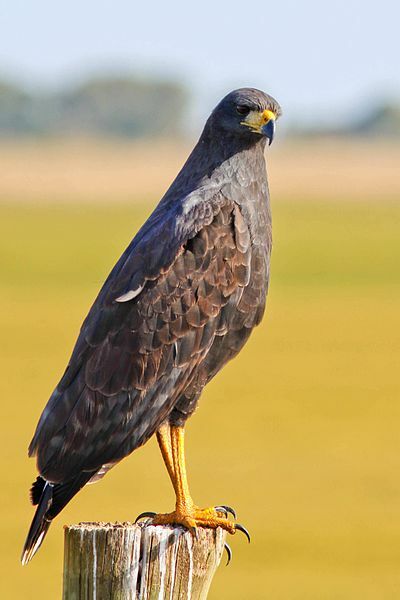 What is a Hawk? To what Family of birds does it belong? 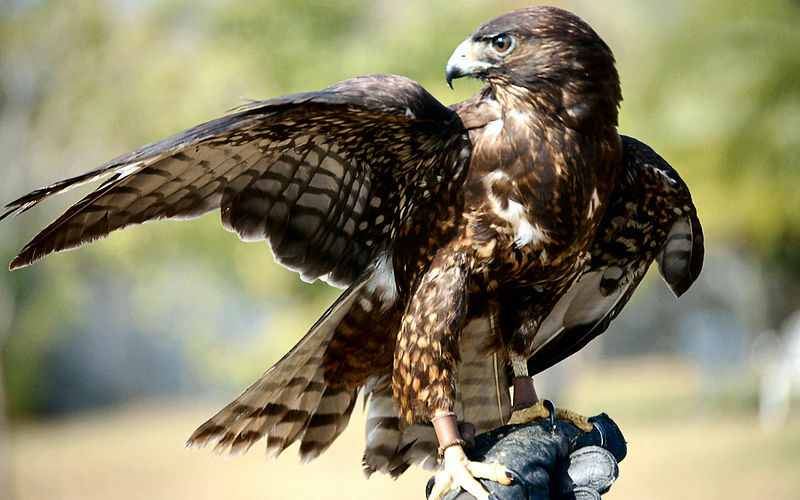 Hawks are one of God’s Created Avian Wonders. 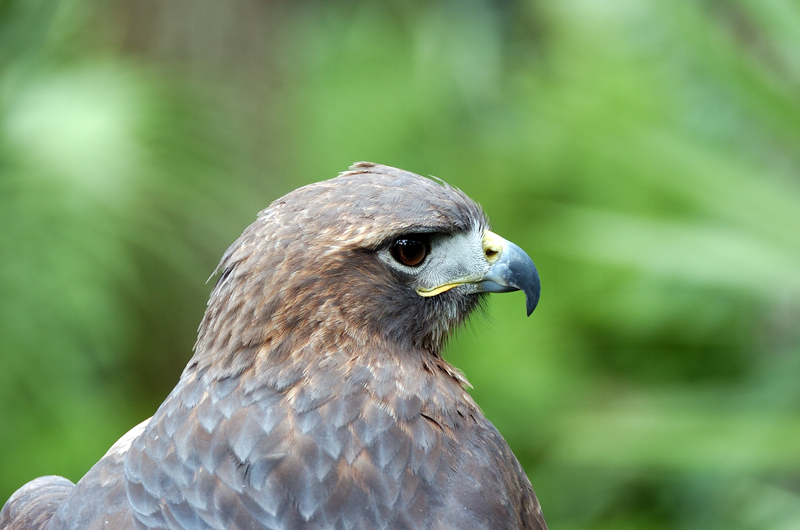 The bird family of Hawks, Accipitridae, not only includes Hawks, but also Eagles, Kites, Harriers, Vultures, plus more. The Lord has given them great eyesight, hearing, and speed. Hawks have excellent eyesight. They can see up to 8 times more clearly than the sharpest human eye. Eyesight is primarily used for hunting. Their hearing is acute, but their sense of smell is poor. 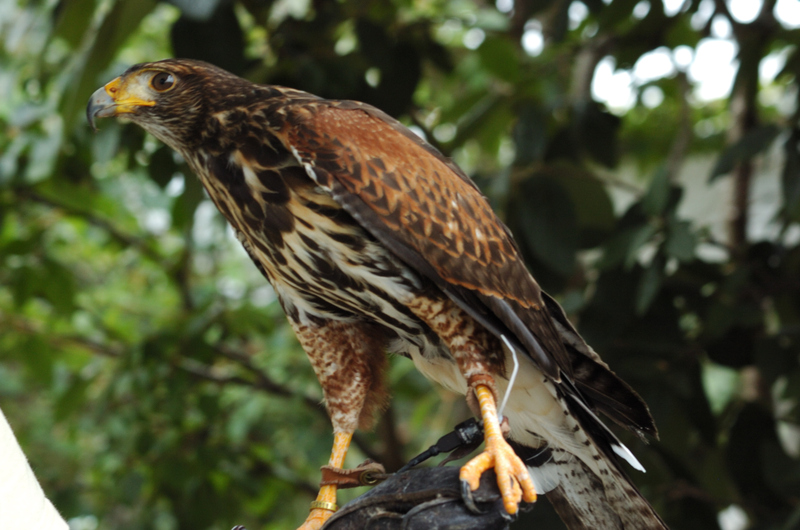 Hawks are in the Accipitridae Family of Kites, Hawks & Eagles and you can read more about them in the Birds of the Bible – Hawk section. Many of the birds in the Bible are listed differently in some versions. The Ibises is only listed in this verse in the Brenton, DRB, and the ABP versions. Most of the different versions list Pelicans, Cormorants, Bitterns, Heron, and Storks. The Pelicans, Cormorants, Bitterns, and Heron are all found in the PELECANIFORMES Order of birds. The Storks are in the close CICONIIFORMES Order. All of these birds enjoy similar surroundings and the Ibises and Spoonbills make up the Threskiornithidae Family. The ibises (collective plural ibis; classical plurals ibides and ibes) are a group of long-legged wading birds, that inhabit wetlands, forests and plains. “Ibis” derives from the Latin and Ancient Greek word for this group of birds. It also occurs in the scientific name of the cattle egret, (Bubulcus ibis), mistakenly identified in 1757 as being the sacred ibis. 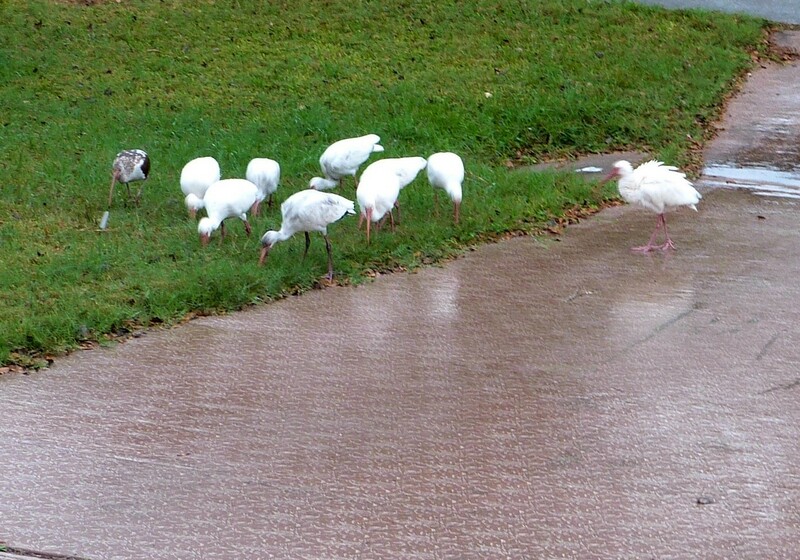 Ibises all have long, down-curved bills, and usually feed as a group, probing mud for food items, usually crustaceans. They are monogamous and highly territorial while nesting and feeding. Most nest in trees, often with spoonbills or herons. 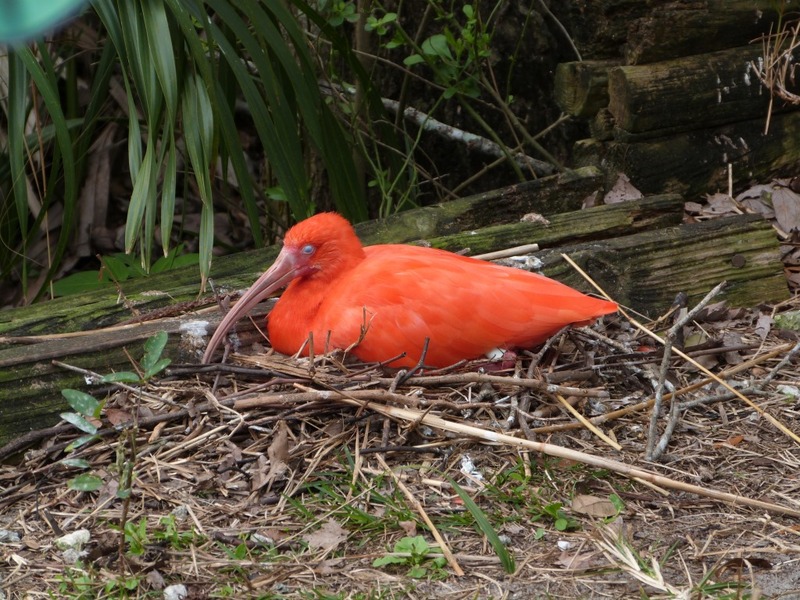 The word ibis comes from Latin ibis from Greek ἶβις ibis from Egyptian hb, hīb. Here is a list of the current living Ibises. The Osprey is another bird on the “Do Not Eat” list. 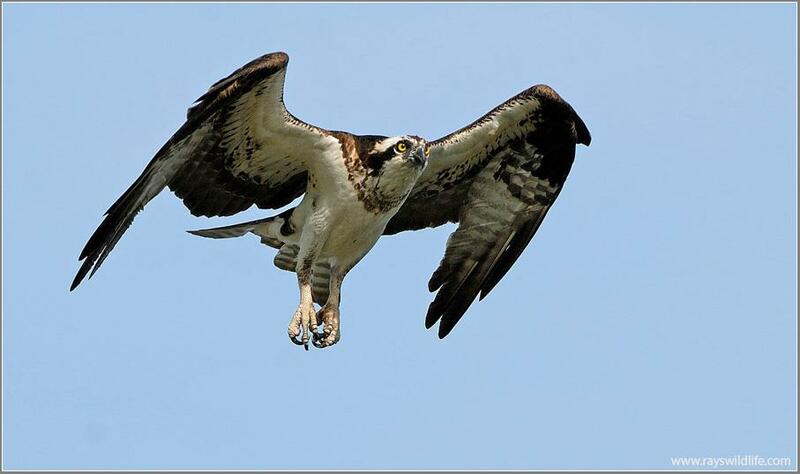 Here in central Florida, we see Ospreys quite frequently. Their nest are usually noticeable on platforms placed for them. On a road between Eagle Lake and Bartow, (which I have renamed “Osprey Road”) there is a nest in the V structure of almost every power distribution pole. There are at least 15-20 nests in about a mile or so. The Ospreys will show up after the first of the year and stay for about 4 months while they breed and raise their young. The Osprey is in a family by itself. They are widely distributed around the world. 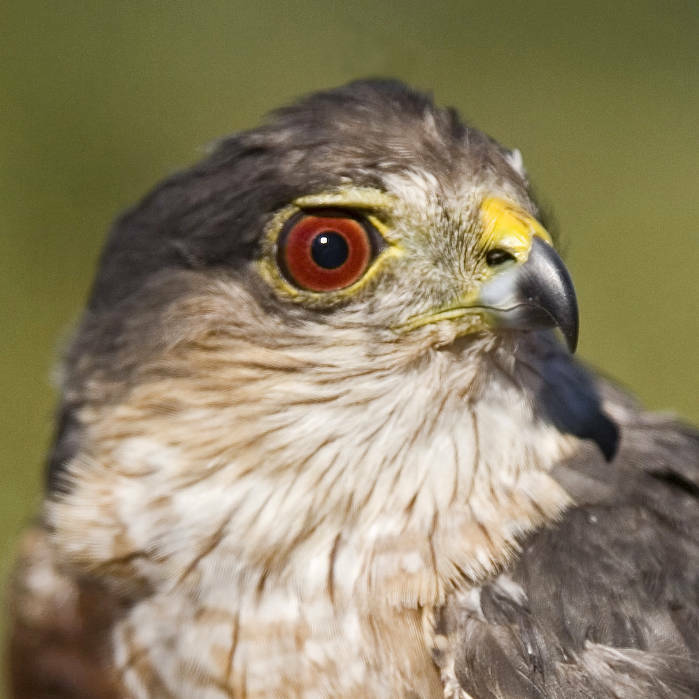 They are closely related to the Hawk and the Falcon. They are 21-24 inches long with a wingspan of 54-72 inches. The females are slightly larger and both look alike. Their diet is almost entirely fish, but they do eat small rodents and birds. When fishing, they fly 30 to 100 feet above the water and will hover when they find a fish. They will plunge into the water with their feet under them to catch the fish. “Rises from water with fish gripped in both feet, pauses in midair to shake water from plumage, and to arrange fish with the head pointed forward, which reduces its resistance to air, flies with it to” perch or nest to feed young. Can carry up to four or more pounds. All quotes from (The Audubon Society Encyclopedia of North American Birds). Swans are mentioned in these two verses in the KJV Bible. Some other versions list it as another bird. For now, let us learn about the beautiful Swans that the Lord created. Both of the Swan verses above are found in the “do not eat” list that the Lord gave to the “children of the LORD your God.” Who would want to eat such great looking birds? The Trumpeter Swan has the most contour feathers of any bird. (25,216) That doesn’t count the downy feathers. Swans can fly as fast as 60 miles per hour! 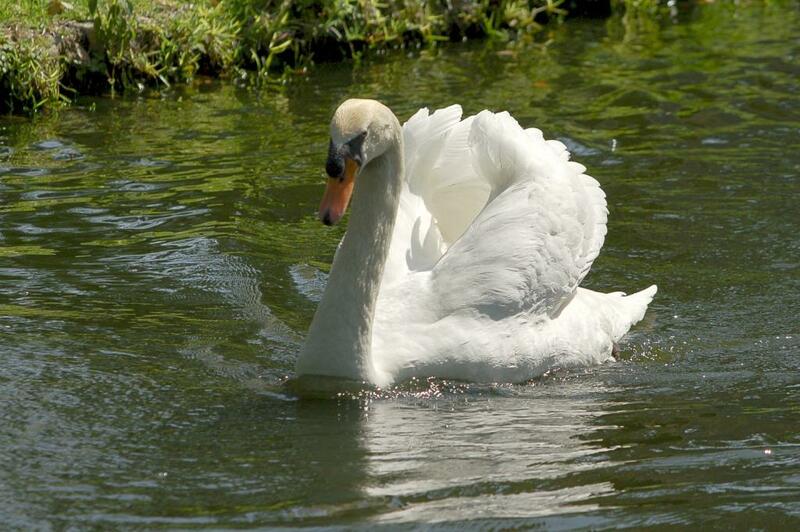 A male swan is called a cob, and a female swan is called a pen. A baby swan is called a cygnet. The largest species, including the mute swan, trumpeter swan, and whooper swan, can reach length of over 1.5 m (60 inches) and weigh over 15 kg (33 pounds). Their wingspans can be almost 3 m (10 ft). So there are at least four verses with the Swallow listed. 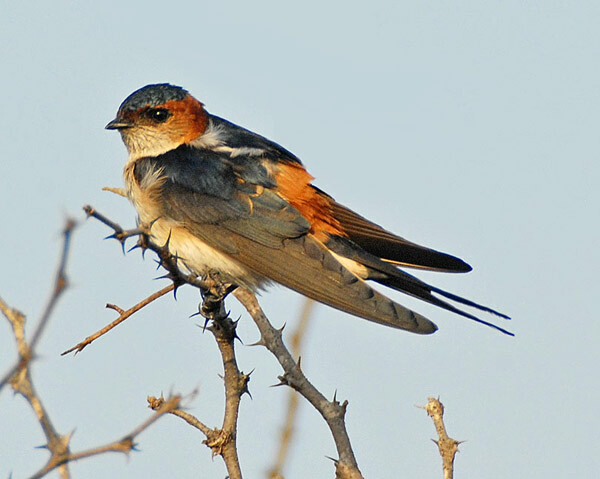 The Swallows belong to the Hirundinidae – Swallows, martins Family. There are 88 members in the family at present. Many times in the Bible they mention a bird‘s name and then say “after its kind.” For now, let’s just same that it means all of those species in that family. The Swallows also have Saw-wings and Martins in the family. They live on all the continents except Antarctica. This family is known for their aerial feeding. taking flying insects on the wing. Swallows hunt insects on the wing because they were designed with a slender, streamlined body and long pointed wings, which allow great maneuverability and endurance, as well as frequent periods of gliding. Their body shape allows for very efficient flight, which costs 50-75% less for swallows than equivalent passerines of the same size. Swallows usually forage at around 18.6-25 mph (30–40 km/h), although they are capable of reaching speeds of between 31-40 mph (50–65 km/h) when traveling. 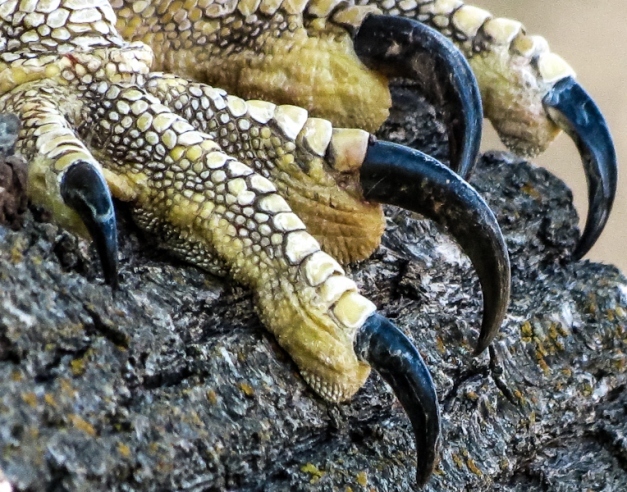 The legs are short, and their feet were created for perching rather than walking, as the front toes are partially joined at the base. Swallows are capable of walking and even running, but they do so with a shuffling, waddling gait. The leg muscles of the river martins (Pseudochelidon) are stronger and more robust than those of other swallows. 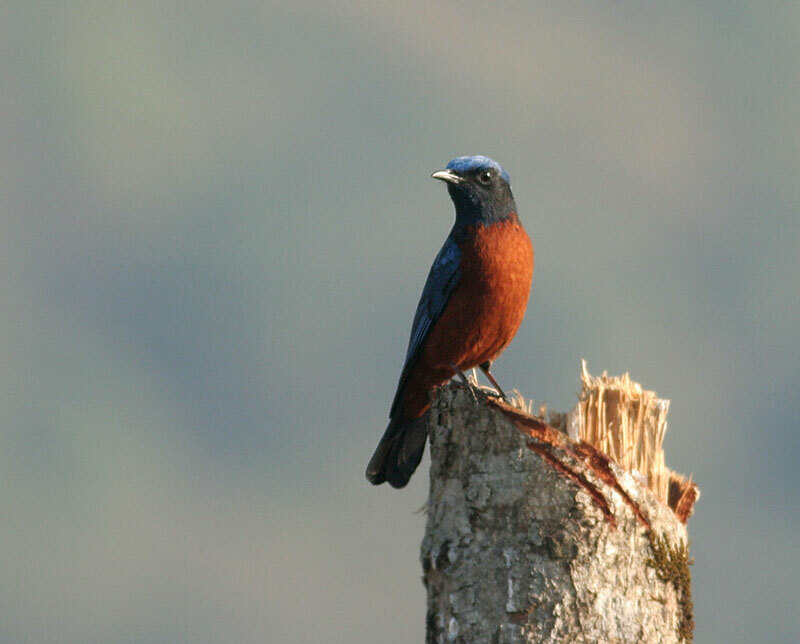 The most common plumage is glossy dark blue or green above and plain or streaked underparts, often white or rufous. Species which burrow or live in dry or mountainous areas are often matte brown above (e.g. Sand Martin and Crag Martin). The typical song of swallows is a simple, sometimes musical twittering. Our verse above mentions the birds and how they KNOW when it is time to migrate, but what about the end of the verse? The Lord uses birds and other critters as an example, BUT He is mainly trying to teach us something. Let’s see what some of the different versions say about what we are supposed to learn from these birds. (MSG) …know when it’s time to move south for winter… know when it’s time to come back again. But my people? My people know nothing, not the first thing of GOD and his rule. (NET) …knows when it is time to move on…recognize the normal times for their migration. But my people pay no attention to what I, the LORD, require of them. Do you know what the Lord wants you to do? Do you know Him as your Savior? If you do, are you doing what the Bible tells us we should do? Are you obeying your parents? And doing what the Lord wants you to do?. The Lord loves us, just as your parents do. When you obey them you are happier and blessed. When you do not obey, are you happy or sad? The same is true with obeying the Word that the Lord has given us through His Word, the Bible. 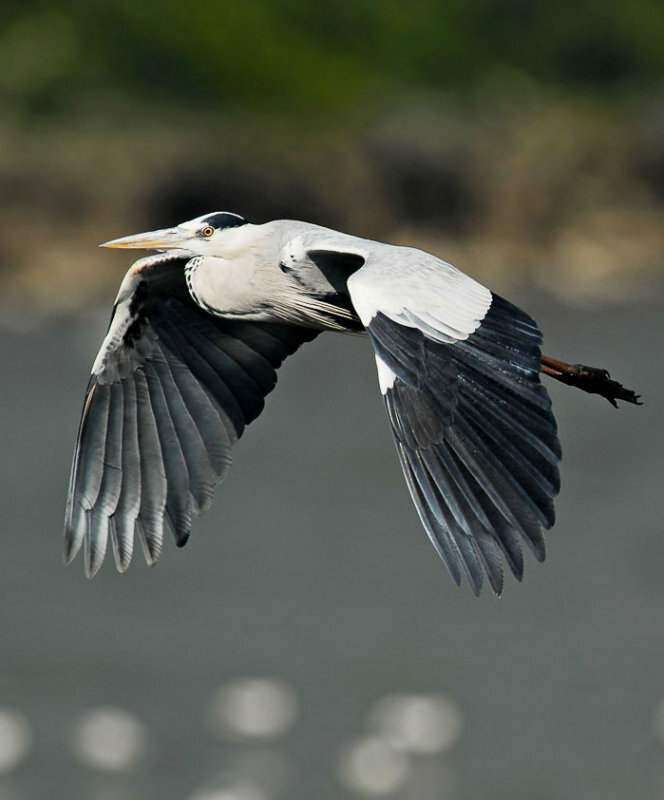 Herons belong to the Family of Herons, Bitterns and Egrets called Ardeidae. There are 72 different types of Bitterns and Egrets, but most the species are the Herons. When the Bible says “after her kind” they are referring to that whole family of birds. The herons are long-legged freshwater and coastal birds in the family Ardeidae, (some are called “egrets” or “bitterns” instead of “heron”). 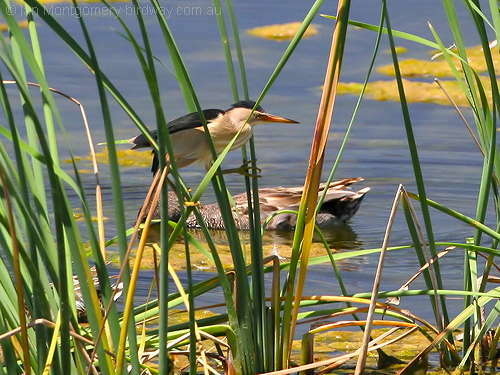 Within Ardeidae, all members of the genera Botaurus and Ixobrychus are referred to as “bitterns”, and Zigzag Heron or Zigzag Bittern. However, egrets are not a separate group from the herons, and tend to be named differently because they are mainly white and/or have decorative plumes. Although egrets have the same build as the larger herons, they tend to be smaller. Although herons look like birds in some other families, such as the storks, ibises, spoonbills and cranes, they differ from these in flying with their necks retracted, not outstretched. HERONS, EGRETS, AND BITTERNS. Ardeidæ. 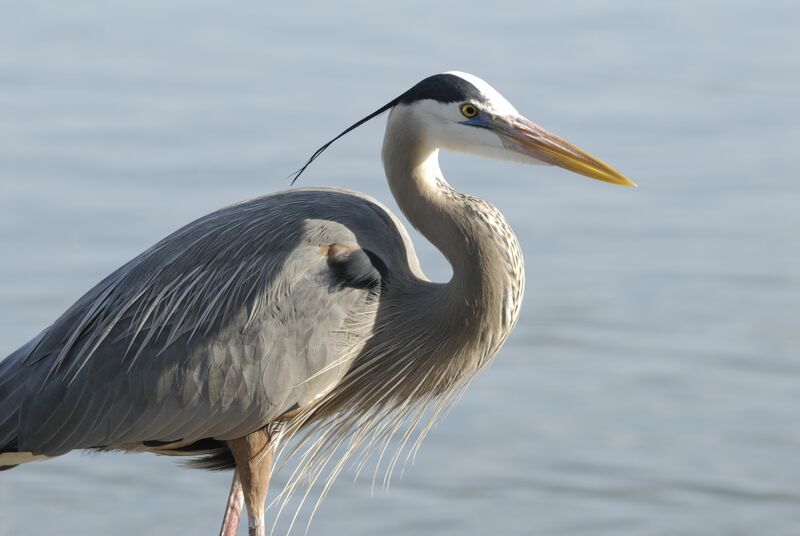 The herons are medium to large sized birds with long legs and necks. The smallest species is usually considered the Little Bittern, which can measure under 12 in (30 cm) in length, although all the species in the Ixobrychus genus are small and many broadly overlap in size. 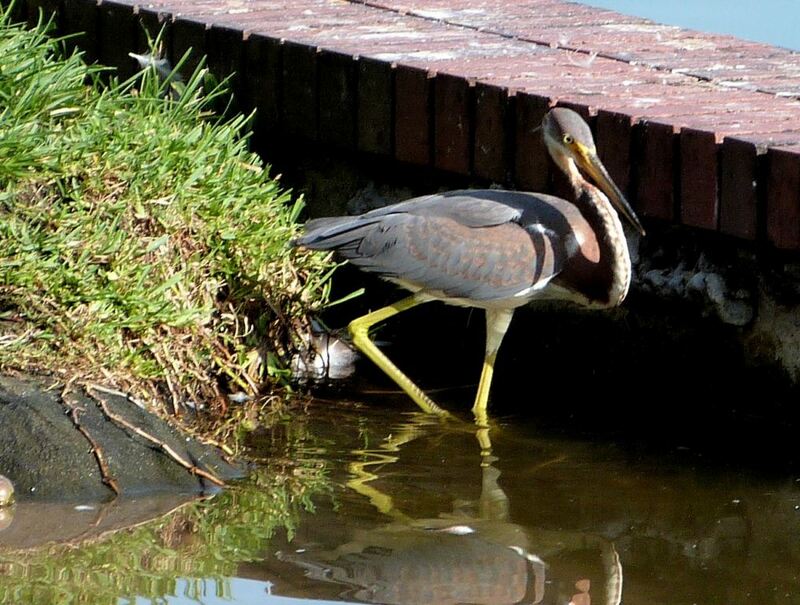 The largest species of heron is the Goliath Heron, which stand up to 60 in (152 cm) tall. The necks are able to kink in an s-shape, due to the modified shape of the sixth vertebrae. The neck is able to retract and extend, and is retracted during flight, unlike most other long-necked birds. The neck is longer in the day herons than the night herons and bitterns. The legs are long and strong and in almost every species are unfeathered. In flight the legs and feet are held backward. 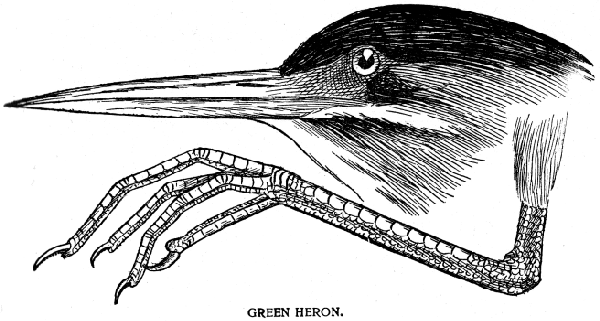 The feet of herons have long thin toes, with three forward pointing ones and one going backward. which has a broad thick bill. The bill, as well as other bare parts of the body, is usually yellow, black or brown coloured, although this colour can vary during the breeding season. The wings are broad and long, with 10-11 primaries primaries feathers (the Boat-billed Heron has only nine), 15-20 secondaries and 12 rectrices (10 in the bitterns). The feathers of the herons are soft and the plumage is usually blue, black, brown, grey or white, and can often be strikingly complex. The Herons listed in Leviticus 11 and Deuteronomy 14 were on a list of birds that were not to be eaten. The Thrush only appears once in the Bible. 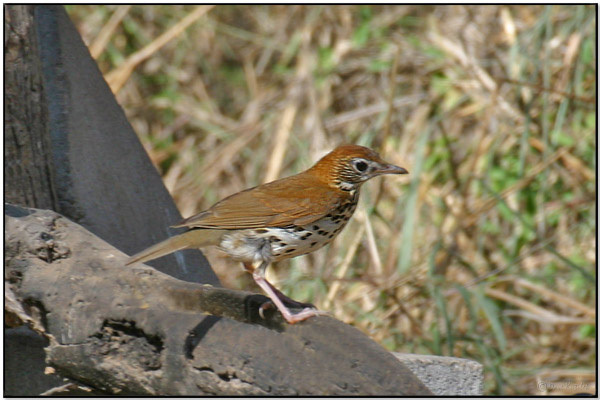 Not all versions of the Scripture translates or says that it is a Thrush. The New American Standard Bible (NASB) is one of the ones that does. Also the CEV, ERV, GNB, HRB, LITV and the NIV use the word “Thrush”. An unused root meaning to twitter; probably the swallow: – swallow. Many of the different Bibles use the word Swallow, and some of those above use both the Swallow and the Thrush. Thrushes are plump, soft-plumaged, small to medium-sized birds, inhabiting wooded areas, and are grey or brown in colour, often with speckled underparts. 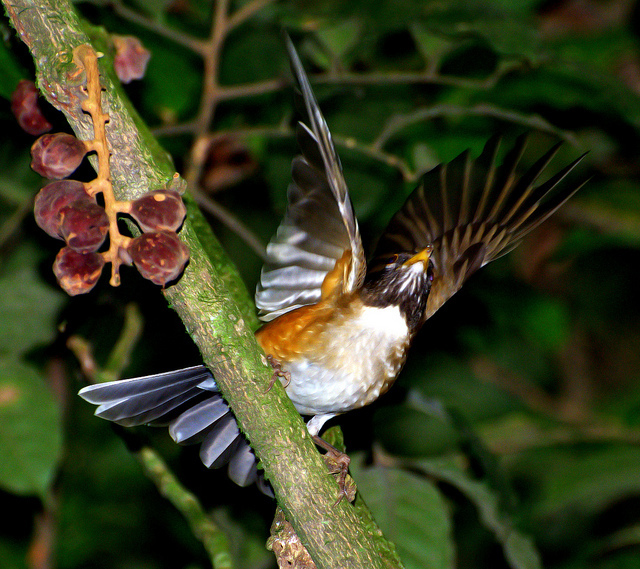 They often feed on the ground or eat small fruit, but most species also eat worms, land snails, and fruit. Many species are permanently resident in warm climes, while others migrate to higher latitudes during summer, often over considerable distances. Do you know what the Lord wants you to do? Do you know Him as your Savior? If you do, are you doing what the Bible tells us we should do? Are you obeying your parents? And many other things. The Lord loves us, just as your parents do. When you obey them aren’t you more pleased and blessed than when you don’t obey? The same is true with obeying the Word that the Lord has given us through His Word, the Bible.